The European Green Leaf is a new EU competition aimed at cities and towns that recognises commitment to better environmental outcomes, with a particular accent on efforts that generate green growth and new jobs. 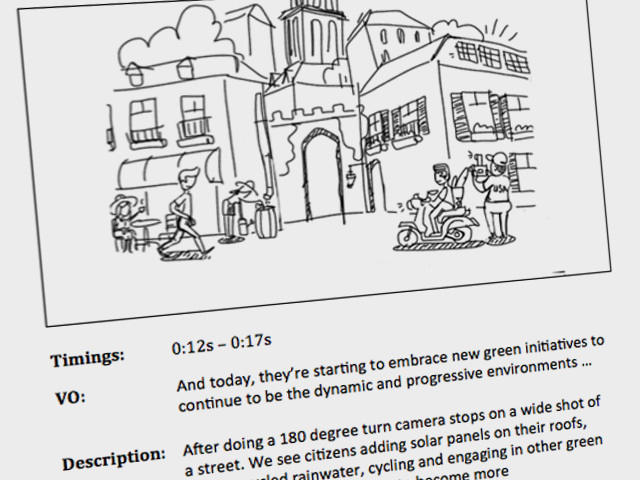 Our role on this project was to create a promotional video that would help to drive public awareness of the award and encourage more cities across Europe to take part in the green movement. Our approach was to create an energetic animation with a positive undertone that appealed to citizens pride and encouraged them to submit their city for this prestigious award. Since this was a consumer oriented communication, we chose to use a 3D animation style that delivered the messages in a playful manner. As usual our pre-production started with blocking out key messages and then writing a story around them. Once the script was locked off we developed a storyboard to help us visualise how our story will come alive on the screen. Whenever producing a 3D animation its very useful to create a low res animatic that’s fully synced to a VO. It allows to get a feel for camera moves and duration of each of the shots before we invest more time into building complex 3D scenes. With the animatic signed off we were ready to start developing our video in full detail. 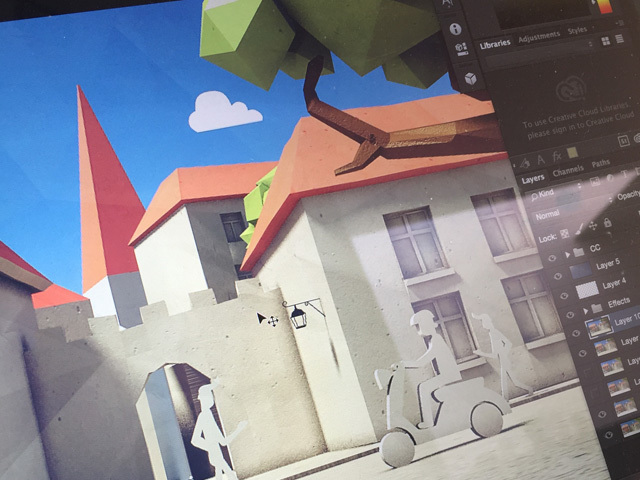 We didn’t want the video to look hiper real, therefore deveoped a more playful, low poly look where our world looks nearly made of paper.